To increase survival rates among cardiac arrest victims, Ashland Fire & Rescue is offering CPR classes accredited by The American Heart Association. Classes are available monthly to the general public and healthcare professionals. Onsite business and private/group classes are also available by scheduling in advance. Statistics indicate less than one-third of out-of-hospital cardiac arrest victims receive bystander CPR. Effective bystander CPR, provided immediately after sudden cardiac arrest, can double or triple a victim’s chance of survival. NOTE: Most classes are limited to nine participants. To confirm and reserve a seat in the class, fees must be prepaid ten (10) days prior to the class date to confirm a reservation. Students who do not pre-pay may be turned away if there are no seats remaining in the class. We accept cash, credit card, or check payable to the City of Ashland. COURSE FEES ARE NON-REFUNDABLE. All classes are held at Station 2 (1860 Ashland Street) unless otherwise noted. 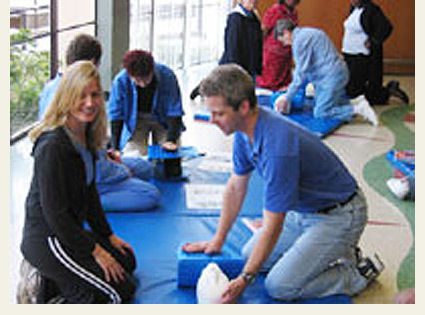 This instructor-led course is designed for participants seeking certification in promptly recognizing life-threatening emergencies, providing high quality chest compressions, delivering appropriate ventilation, and incorporating the use of an automated external defibrillator (AED) in a simulated clinical environment. Students must pass a written and hands-on test to qualify for certification. This course is for anyone with previous, limited, or no medical training seeking certification in CPR. 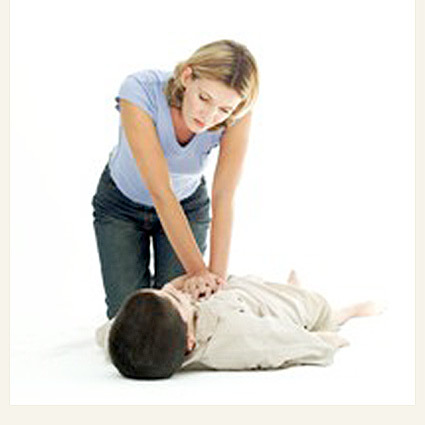 The video-based Practice-While-Watching course teaches effective chest compressions, rescue breaths, use of an automated external defibrillator (AED), and choking relief. This course is appropriate for employment requirements or personal knowledge satisfaction. For further course information click here. This instructor-led course teaches participants the critical skills needed to respond to multiple types of first aid emergencies including sudden cardiac arrest and choking. Focus is given to understanding the “chain-of-survival” and what to do until emergency medical services arrive. This course is ideal for anyone medical training with a certification completion card in first aid, CPR and AED. The Family & Friends CPR course offers basic CPR training in a dynamic group environment for those not seeking a certification card, but seek the same skills as those receiving one. This course uses the research-proven Practice-While-Watching method to provide students with the most high quality hands-on CPR practice time possible. Note: All classes are taught by firefighter-paramedics who are certified AHA instructors. For a schedule of classes click here. What certification course are you pursuing? How many are seeking certification? What is the preferred date for training? Step 2. Determine a training date. In collaboration, we will determine a training date that best fits the needs of both parties involved. Payment must be made at least 30 days in advance of the training date to confirm. Step 3. Make payment. Confirmation of the training is only made via payment. We do not provide refunds; therefore, changes will not be considered once payment is rendered. We charge in increments of nine students. Step 4. Submit a class roster. Roster should include the correct spelling of each participant’s name and email address where they would like their certification card link sent. Be sure to allow emails from ecards@heart.org. Step 5. Pick up participant study manuals. Read the manual prior to the class date. Training materials are included in the cost of certification. The materials can used for future reference.